From Old Silver to the Heights, Teaticket to Hatchville, Waquoit to Woods Hole, the Villages East, West and North to Falmouth Village, the Falmouth Chamber of Commerce has been promoting businesses and an appealing sense of place for more than 100 years. At the Chamber we care deeply about every aspect of Falmouth and work to preserve the history, charm, open space and beauty key to sustaining a diversity of residents and visitors as well as merchants, professionals and not for profit organizations. Because through a vibrant, healthy membership we’re able to preserve the unique and charming character of each village that makes Falmouth so nice. 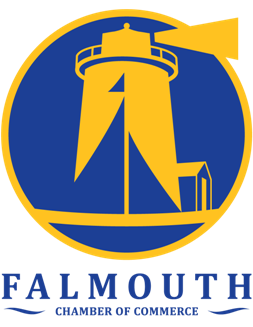 Because the unique charm of Falmouth supports your interests and a strong business and nonprofit sector. Because we all have a responsibility to give something back to the community we live, work and play in. We’re doing great work to make Falmouth Even Nicer. Our support reaches every corner of our seaside community from leading economic development initiatives and preservation of green space to support for art & education nonprofits and a partnership with the Falmouth Service Center to name just a few.